This blog post will provide evidence of sharing and amplified learning. This is the lens I chose to focus on as I entered a grade 3 math lesson. Whenever documenting takes place, in order for it to be useful, a plan needs to be put into place. Why am I documenting? What is my documentation focus? These are just a few of the things I needed to reflect on before I began. The lesson was introduced and the sharing happened. 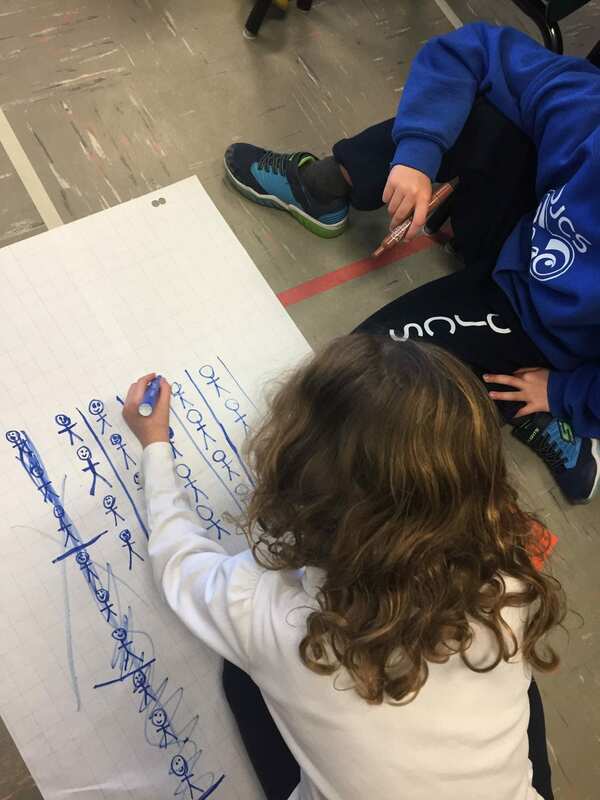 The following video provides evidence of a grade 3 student sharing some of her strategies to solve the first problem introduced. As I walked around to the different groups, I came upon a pair where the sharing of ideas were clearly one-sided. Below a student is sharing his/her strategy and the other student appears to be listening. Fifteen minutes later, there was still no evidence of an exchange of ideas. This is just the first step in my documentation of this pair, Will there be growth? As the student who was doing the sole sharing left to participate in a Gallery Walk, I witnessed the other student add to their work. He shared. But I believe his partner never benefited from this missed opportunity. Further documentation was needed to have concrete evidence that sharing eventually took place. My documenting journey continues. I then witnessed a guest blogger capturing a student sharing various math strategies he used to solve the problem he was working on. 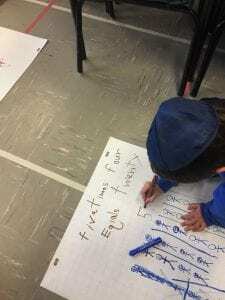 This guest blogger is amplifying the learning that is taking place in this classroom. Once he posts it on his blog and the commenting begins, there will be untapped possibilities to extend the learning. What do I take away from this valuable experience? Documenting is a very mindful exercise. It is not just an opportunity to take a series of photos or videos. Ask yourself; “What do these photos and videos really capture?” Was this the best way to make the learning visible? How can I best store them for future use? What can I do differently next time in order to use my documentation to enhance classroom learning? I am excited to add new layers to the documentation process! I agree with @chelsea and LOVE your reflective questions. That is why the documenting learningflow routine has REFLECTION at its heart: Look for learning, CAPTURE learning, REFLECT on learning, SHARE learning and AMPLIFY learning. It is a flow, meaning that once you start looking, it flows into the other areas… We do not look for looking sake, we don’t capture for capturing sake, etc. The learning happens and amplification of learning happens due to the flow, the process of documenting, not its individual actions alone.